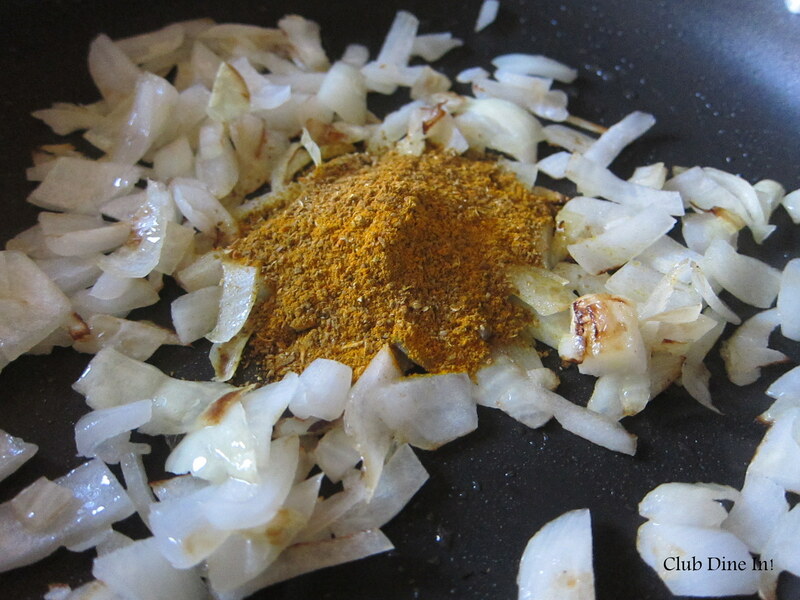 spices | Club Dine In! 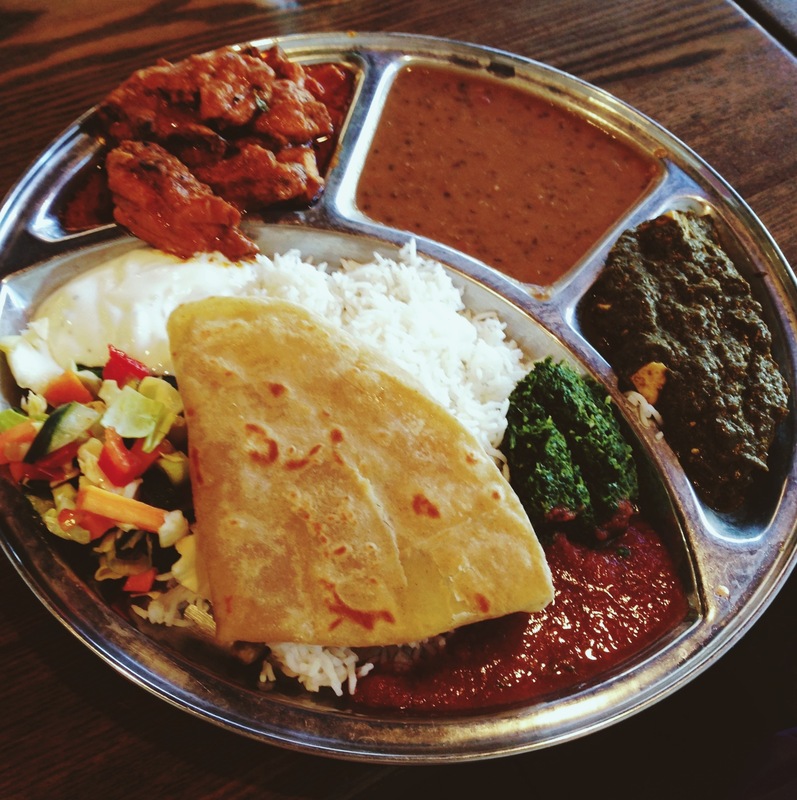 Follow Club Dine In! on Twitter. I joined Slow Food SF (read side note below) on their Convivial Table Tour to 331 Cortland, a collaborative food marketplace in Bernal Heights. The Convivial Table Tours feature sustainable food purveyors in the Bay Area to educate members about available food choices and to introduce the important people providing our food. During this tour, we met Debra Resnik, owner of 331 Cortland, and learned of her vision to have a marketplace of individual food artisans that can operate under one roof. Resnik was inspired after working with La Cocina, to create a community enriching marketplace to help burgeoning vendors. All of the vendors at 331 Cortland focus on local, seasonal, and sustainable practices and either had street food stands, sold at farmers markets/festival, or worked in catering. All of the vendors complement, not compete with each other. The space allows them to inspire each other, with new menu creations and bounce back ideas. Speaking of community, most of the vendors live within blocks of the market. Each vendor has their own individual kiosk, most accept cash only, and there are no seats. 331 Cortland is a small community marketplace of 7 vendors. Members of Slow Food SF were greeted with gourmet popsicles from Cranky Boots Cold Confections. East Bay residents, Amanda Yee and Aland Welford, recently started selling their “farm to freezer” popsicles at festivals and events. 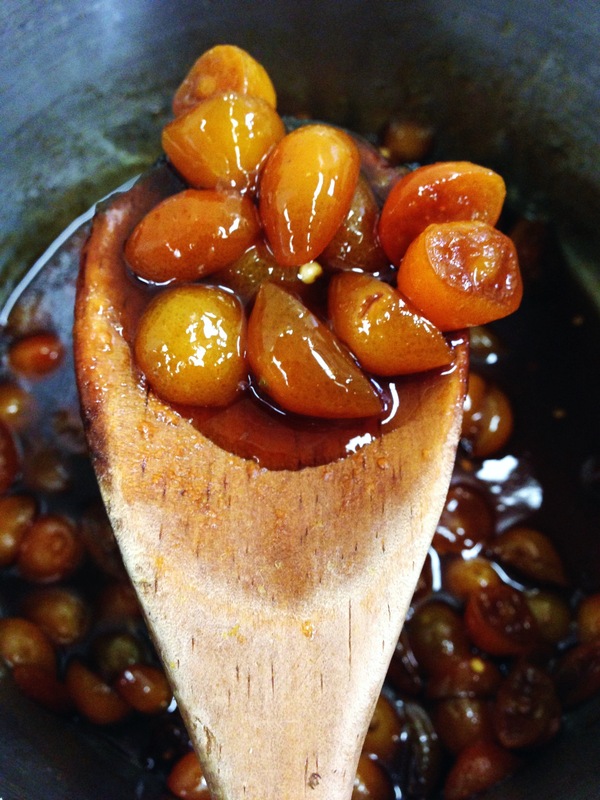 The couple uses seasonal fruits from local farmers and don’t add excess sugar to their treats. Cranky Boots will set up shop at 331 Cortland every Sunday. Expect to find flavors such as Black Mission fig with Cream and Balsamic Gastrique, Peach Lemonade, and Strawberry-Basil in two sizes: small ($3) and large ($4). I highly recommend trying the Black Mission Fig popsicle before figs go out of season! 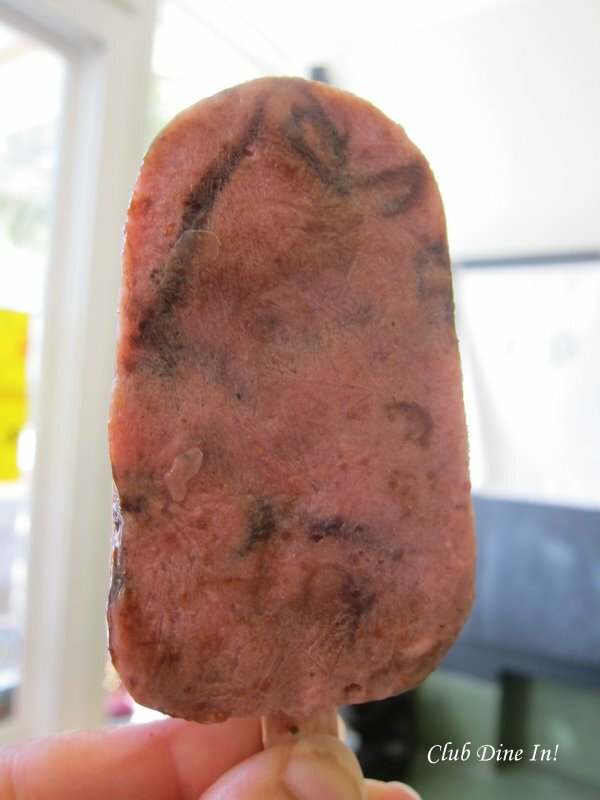 The Black Mission Fig Popsicle- the best, most gourmet popsicle I've ever had! Erin Archuleta, co-owner of ICHI Lucky Cat Sushi, excitedly greeted us with two plates of freshly prepared sushi. Erin with her husband, Tim, started ICHI Catering in 2006 and then had pop-up restaurants at local bars at the down-turn of the economy. They jumped at the opportunity to have their first retail space so close to their own home when offered a spot at 331 Cortland. 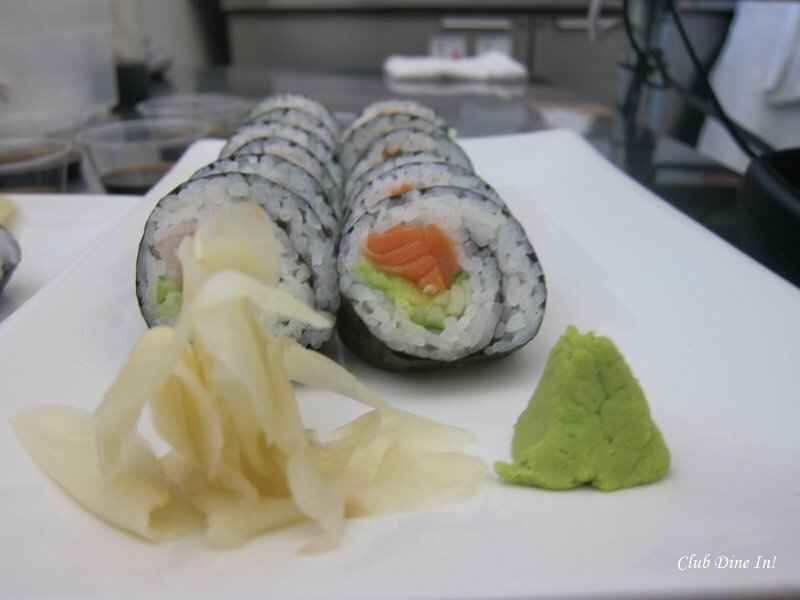 ICHI offers fresh and prepared nigiri, maki, and sashimi, as well as specialty snacks. For a more formal sushi experience, you can visit their new sit-down restaurant in the Mission. Resnik discovered Wholesome Bakery at the La Cocina Street Food Festival and invited Mandy Harper to be a part of 331 Cortland. 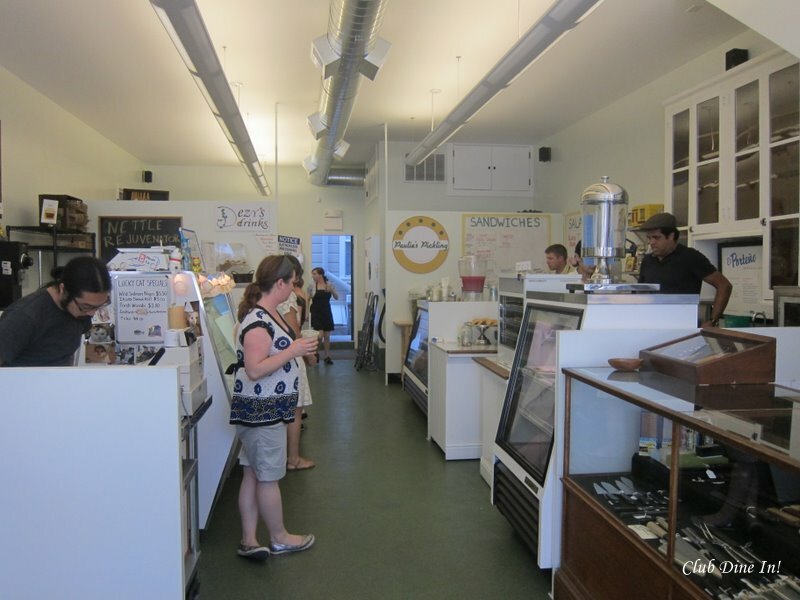 Wholesome Bakery was created out of necessity for healthier desserts and treats. All of the baked goods are vegan and low-glycemic and are wheat, soy, and yeast free. They are also delicious! Harper had formed a relationship with Desiree Salomon, of Dezy’s Drinks, on the streets after both realized their products completed each other well. Thus, it was only natural for Dezy’s Drinks to come into the space with Wholesome Bakery. 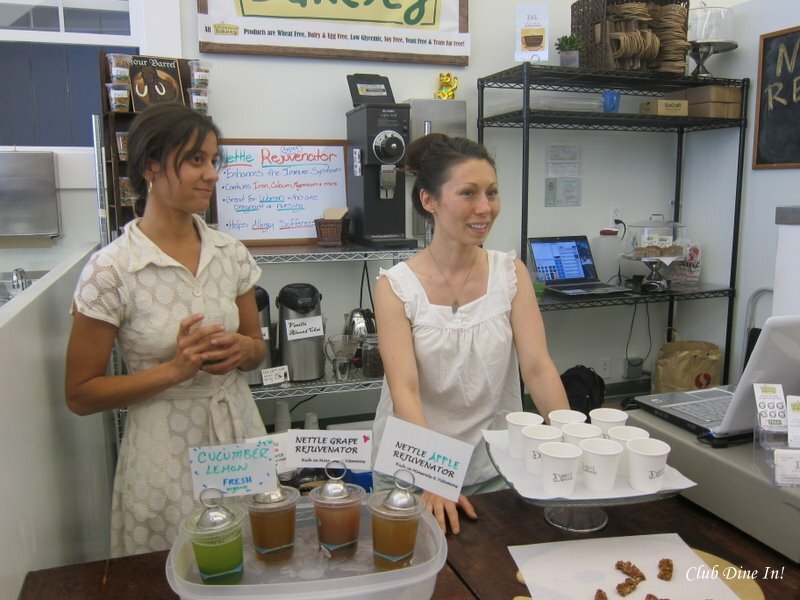 Salomon uses mostly organic fruits, vegetables, and spices in her made-from-scratch chais, juices and kombucha tea. Trust me, the Homemade Chai is particularly good and authentic. After filling up on chai, granola, and sushi we sampled three different pickles from Paulie’s Pickling. The wife and husband team, Liz and Paul Ashby, started experimenting with cucumbers from the farmer’s market until they had the perfect pickle. 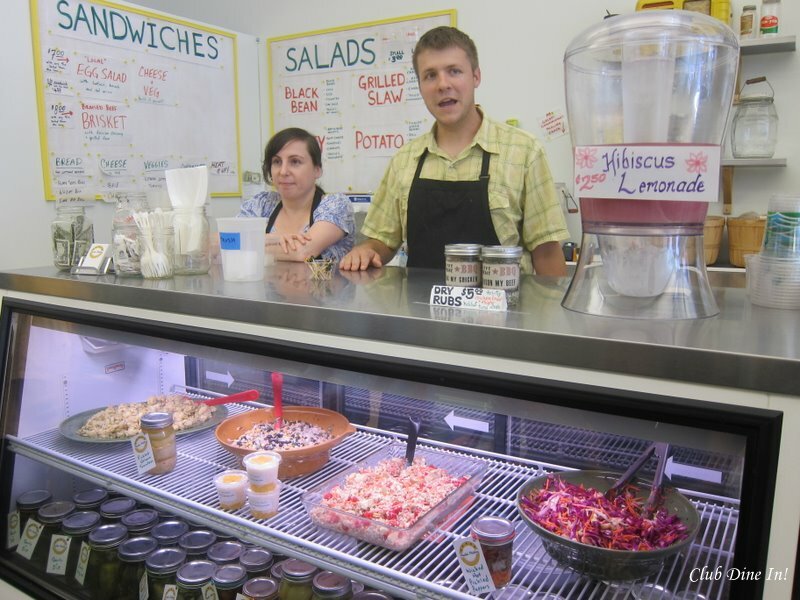 The Cali-Jewish deli serves brisket, chopped liver, deli salads, quinoa, and of course a variety of pickles available individually or by the jar. Joseph Ahearne, owner of El Porteño Empanadas, passionately told us his story and the beginning of creating the best Argentinian empanadas in town. Listening to him speak takes you to a place where your grandma rolls out her own dough while the cows graze on grass in the backyard. Instead of importing meat all the way from Argentina, he proudly uses Prather Ranch Beef, Fulton Farms Chicken, and fresh organic/local produce and dairy to stuff the empanadas. 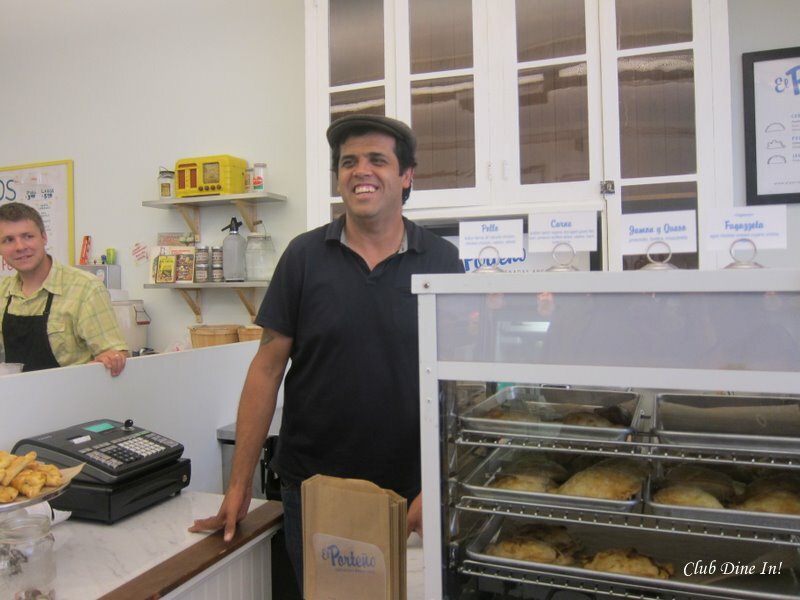 Ahearne introduced himself to Resnik by leaving a plate of his freshly made empanadas on the doorsteps of 331 Cortland while it was still being renovated. However, the construction workers got to them first as Resnik was not there on that day. (I shamelessly wanted to take one for the road, but somehow restrained myself.) You can also find El Porteño at their own kiosk at the Ferry Building, farmer’s markets, and Off the Grid. Joseph Ahearne is really passionate about the land, empanadas, and tradition. Josh Donald had operated Bernal Cutlery through others, such as Avedano’s and Drewes Brothers, for five years. Now the casual to professional chef can drop off his/her knives at 331 Cortland and admire Donald’s collection of new and vintage cutlery. Bernal Cutlery may be San Francisco’s only Japanese whetstone sharpening service. Donald also holds monthly educational classes on Japanese whetstone sharpening. 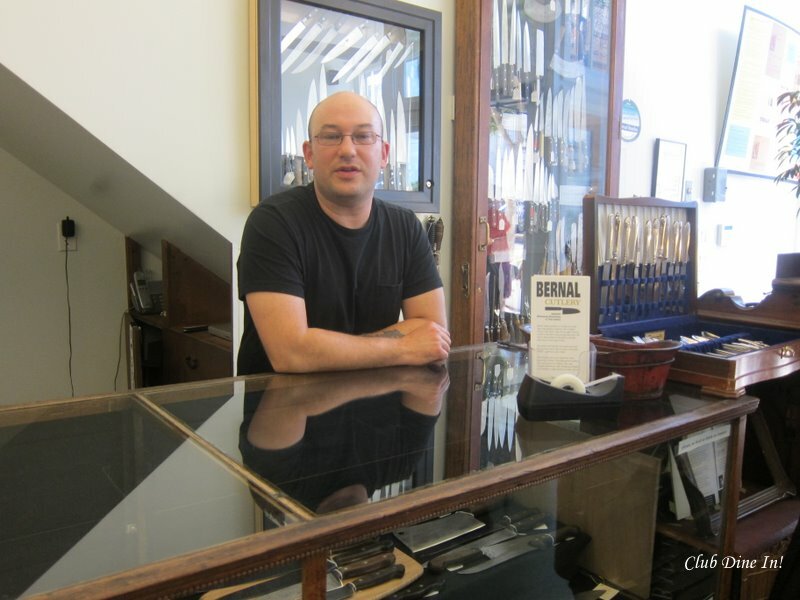 Even if you don't have any knives that need sharpening, visit Bernal Cutlery just to check out Josh's vintage collection. The new kid in the market is Spice Hound, a global collection of pure and aromatic spices for everyday use. Tammy Tan travels around the world to collect well-known and exotic spices and herbs. Normally, Spice Hound sells about a 100 kinds of spices at farmers markets and online. Spice Hound is set to open for business in mid-October, just in time for gifts, spiced nuts, and sesame-seed brittle for the holidays. 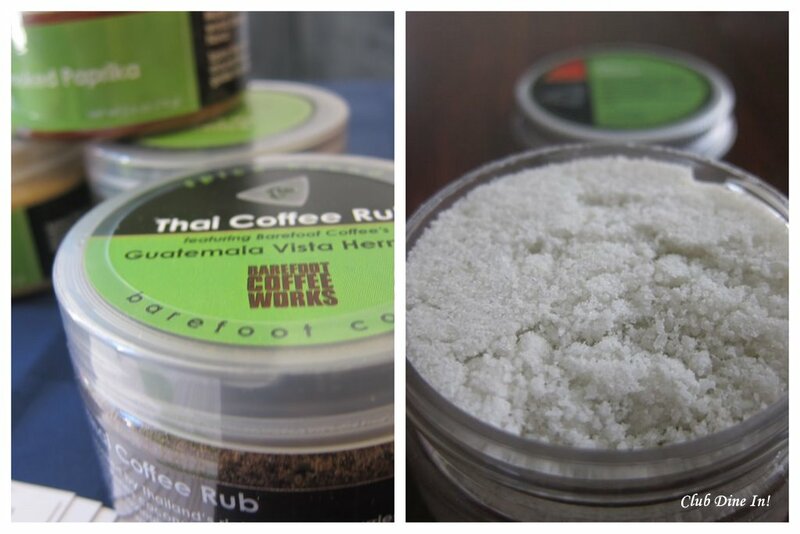 Spice Hound has familiar spices and exotic ones such as the Thai Coffee Rub. Slow Food is an international organization founded in Italy to support local farmers and preserve local cuisine and food traditions. Slow Food is good, clean and fair food. The main objectives of Slow Food is to increase people’s interest in the food they eat, educated them on where food comes from, while protecting the biodiversity of the food system and connecting the community through food. Each regional chapter of Slow Food hosts dinners, tastings, fairs, festivals, workshops, conferences, visits to local food producers, taste education initiatives for its members. Slow Food SF happens to be the largest chapter in the USA Learn more about Slow Food here. ***Slow Food is also have a membership sale for a very limited time. For a gift of just $25 or more you become a member. Join the food fight!